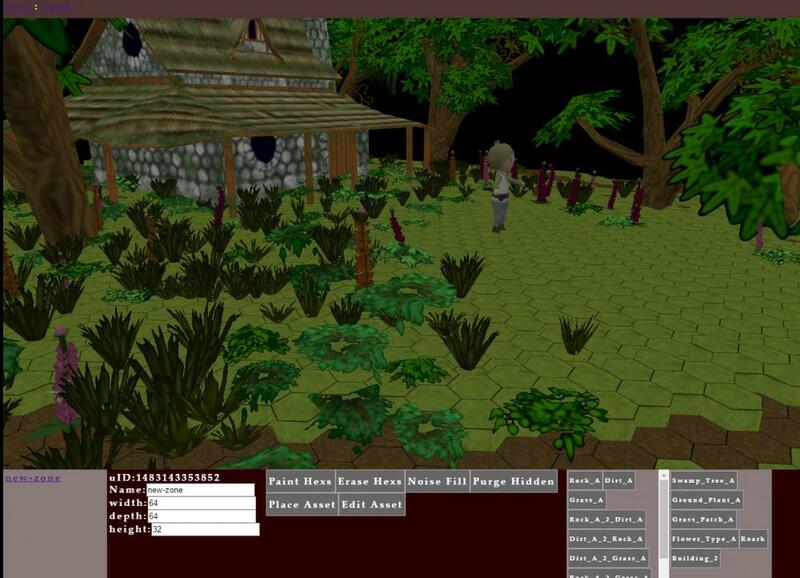 So for the past two weeks I really started digging my teeth into a full scale game to launch on a private server here at some point with BJS and the engine. I have developed a series of tools to make this a possibility over the past year or two and am now applying them in production code. Already developed are a Asset handling system that will allow me to load thousands of entities with minimal draw calls and keeps things very non repetitive when placing entities. The level editor is almost wrapped up and has most of the basic features active already, there is quite a few things to add soon but that will be later down the development line when more core elements are introduced and wrapped up. There has been hours of cooperative talking with friends to help development of characters for the main story line and the setting of the overall worlds aesthetic feel. The final goal of the game however though featuring a story based single player will be intense online competition with a good plan for economic viability with more details being presented at a later time. Ok so lets get to the good stuff... I guess first a few concept sketch's. The Scans were horrible... but at least the idea comes through... There are tons more of these so I wont run out of inspiration. Next I guess are some pictures of the Level Editor I would post some of the 3d models from the scan-line but I would rather only post in game shots. 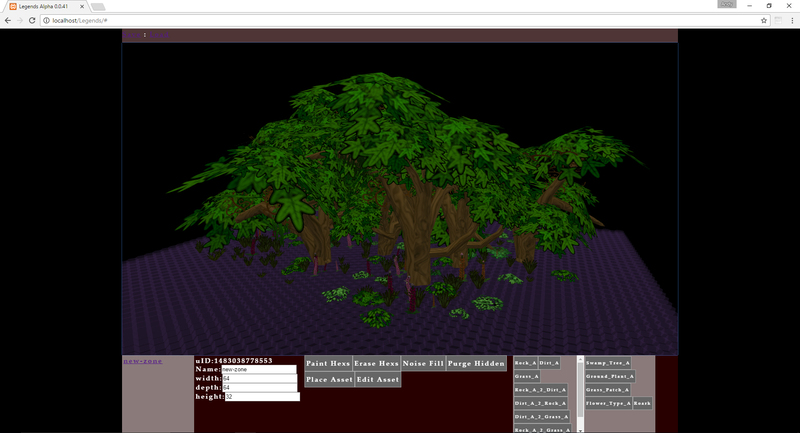 Later at some point Ill post a tutorial of how I am setting up my vegetation rigs and making it so I can generate so many different types of foliage from the one obj import. Soon Ill post more pictures of full levels, but I am waiting to release everything on this. 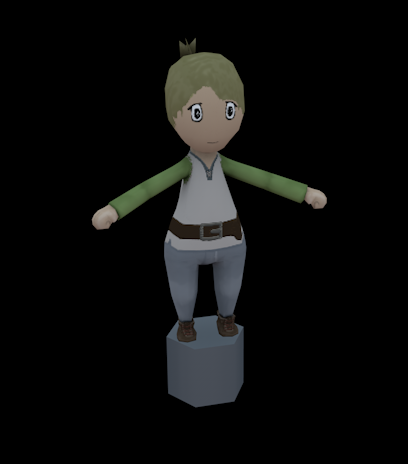 Oh here is the model and mock up texture for the main character Roark. So far lots of progress has been made and soon I should be able to release a preview video of a cut scene render out in real time. 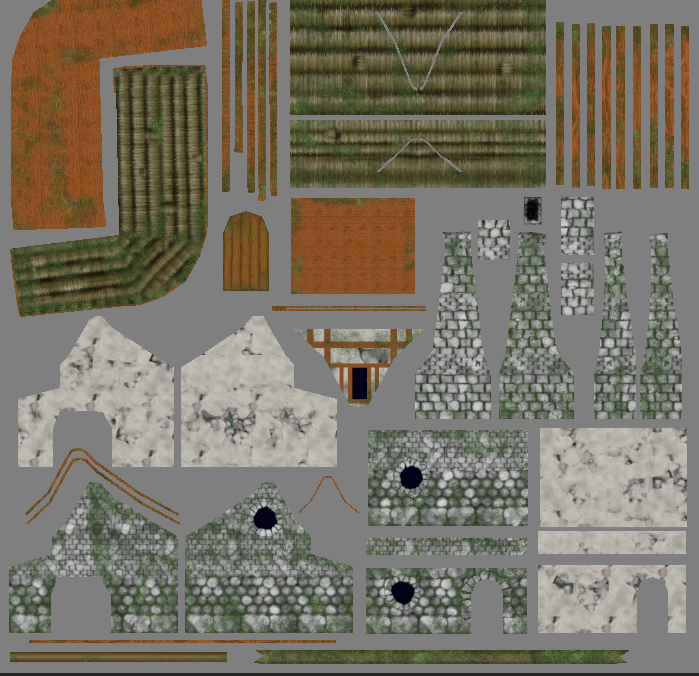 Also sometime today or tomorrow I will post that vegetation modeling and texture tutorial I was talking about, Part 1's video is already recorded I just want to do the voice over. Let me know what you guys think, I should be posting on this periodically. Ohh yeah I almost forgot... in order to do my animations I am wrapping up the FBX converter I was writing and that will be publicly available as its necessity arises. Just finished this up, and all the procedural textures to do like buildings. Needs some finishing touches and some hand done elements on the texture, but at least gives me something to start working on the building handling in game and how they will play into game play. The plan is to have all buildings enter-able and have their roof be removed if your field of vision is inside the building. This is making modeling for them very specific and it will be interesting how to incourperate the hex floor. And then a in game mock-up... Colors need to all be fixed but that's stuff to worry about later, big thing is this is maintaining 60 fps no problem. The plan is to have all buildings enter-able and have their roof be removed if your field of vision is inside the building. This is making modeling for them very specific and it will be interesting how to incourperate the hex floor. 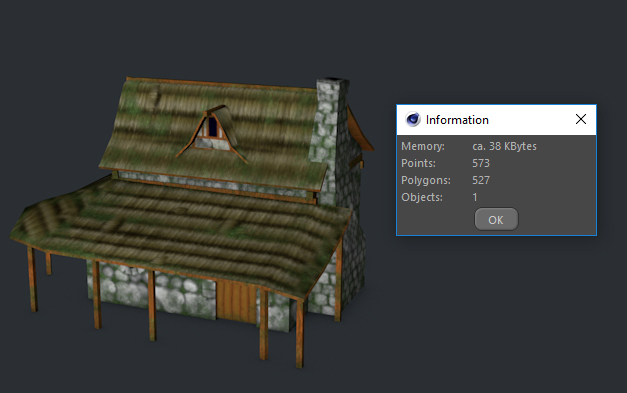 So you add the roof as a different mesh, connected to the rest of the house, that can become transparent ? Or there is an other way ? There are multiple floors ? Yes the buildings are split into separate but the same mesh its interesting how I handle the process. Wrapped up a few more procedural textures today and the base model that I will be using for the fbx importer I am working on to handle the animations. Awww damn you mean I lost my cover as a big mean monkey guy? 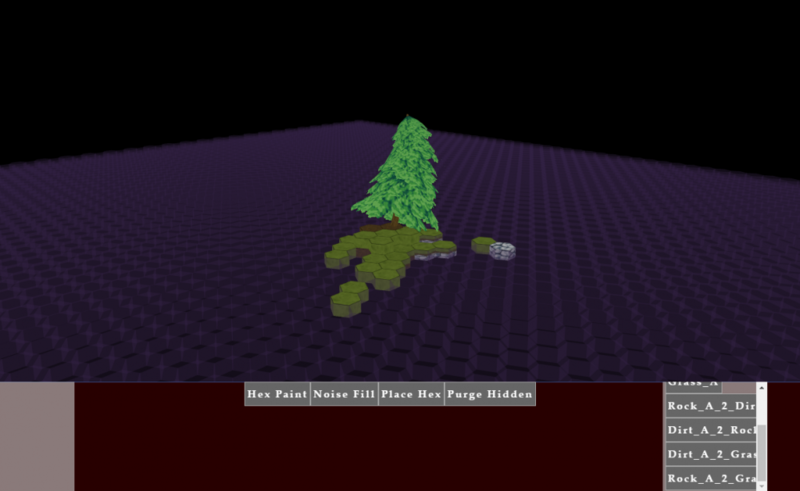 Internets back, I will be posting part two of the tutorial soon and will also be releasing information about the FBX converter. >_< not looking forward to some of this but it needs to be done. Umm kickstarter is delayed by like two weeks because I had no way of developing while we were moving, I plan on releasing some play footage before the campaign along with some info on some game specifics like what style of game this really is (its a cool hybrid ill let y'all know more later) and how things like that stat system and other things will work. I cant wait to release more info on this, just gotta make sure the timing is right, and I have some of my connections trying to contact a company I will not name as of yet to get the rights to a long dead franchise, cross your fingers its going to be a tough one to get seeing how the person who owns the rights is kinda a hard guy to get in contact with and the company went under in the mid 90's, but if that happens I cant even explain to you how big it will be for the project, and for the game community to have that world come back; people have been begging for it.